We wish you a happy and healthy New Year. In fact, you can start 2009 with a pantry full of some healthy Top Picks Of The Week from 2008. These delicious foods will not only meet with your approval; they’ll get the nod from your doctor, nutritionist and trainer, too. – Cool Beans Dip. Leave the mayonnaise and sour cream dips behind in 2009. Keep the good taste as you trade up to the heart-healthy olive oil base and good nutrition of white beans. Cool Beans is a winner of THE NIBBLE Outstanding Artisan Award. – French Meadow Bakery. This fine organic baker makes it easy to get your whole grain quota of the day. Just switch to their bread and bagels. – Holly’s Oatmeal. Even if you think you don’t like oatmeal, give Holly’s a try. It’s a mix of several different whole grains; just one serving has 38g of your 48g daily whole grain requirement. Holly’s Oatmeal is a winner of THE NIBBLE Outstanding Artisan Award. – Rick’s Picks Pickles & Pickled Vegetables. No sugar, no salt, just delicious farm-fresh vegetables and artisan brine seasoned with fine spices and herbs. 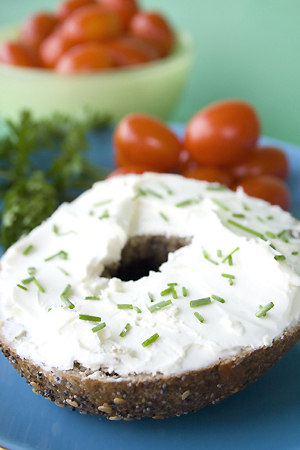 Great as snacks, garnishes and low-calorie treats for dieters. Rick’s Picks is a winner of THE NIBBLE Outstanding Artisan Award. – Sauces ‘n Love Tomato Sauces. There’s no need to add sugar to a tomato sauce when you use tomatoes that are so naturally sweet. These low-calorie sauces are not just for pasta, but for vegetables, tofu, meats, dips and more. – SAVU Smoker Bags. How can you make food taste new and wonderful without adding a single calorie? Here’s the answer! Smoke meat, fish and vegetables in your oven or on the grill. – True Natural Taste Artisan Organic Mustard. Save calories and enjoy the health benefits of mustard. Make your New Year’s resolution: more delicious mustard, less mayonnaise. – Vermont Butter & Cheese Company. Goat cheese has less fat and fewer calories than cow’s milk cheese, and is more easily digested, too. Eat more goat cheese in 2009! Read the reviews of all of these products by clicking on the links above. And watch for THE NIBBLE’s January “health month” issue, online January first.